Waaaaay back in the day, I used to write what I called “10-pages-in” book reviews. The idea behind the 10-pages-in review is that early in a book there’s often a tipping point where you decide whether a book is worth the effort. At 10 or 20 pages in, you can still comfortably walk away and not feel like you’ve invested too much to quit. Or, you know you’re so hooked that you start canceling playdates and dental appointments just to make more time to read. 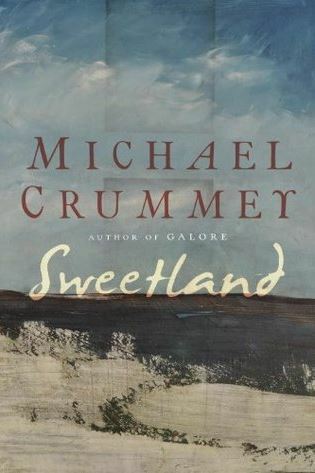 I’m more than 10 pages in to Michael Crummey’s Sweetland, but by the time I’d hit the 10th page I was in love. It’s one of those books where you keep checking to see how much is left so you don’t gorge yourself and read it too quickly – you want to slow down and savour it, but you also want to gobble it up in one big feast. I am utterly enchanted by this book. I love the way the dialogue perfectly captures the rural Newfoundland idioms without reducing them to caricature. I love the gentle quirkiness of the characters. I love the way past and present are layered so they bleed through each other. I love the protagonist and his obstinate ways. I want to crawl inside this book and live there. It’s more than a little ironic that given the book is about relocating people off the tiny rural island, a huge part of my heart yearns to move to just such a place. Between reading Anne’s House of Dreams to the boys and this book, I’ve practically packed our bags and moved us to Canada’s easternmost coastline. I’m not sure why PEI and Newfoundland suddenly call to me so strongly, but they do, and these wonderful books with their roots deep in a sense of place are only throwing gasoline on the fires of my imagination. I’m already dreading the ‘tragic accident’ that’s mentioned in the synopsis, but even more I’m dreading the end of this book. I don’t want it to be done, and have already lined up Michael Crummey’s previous novel, Galore, as my next book. It’s been a long, long time since I’ve written a 10-pages-in book review. This is largely because I am in the year of the series, working my way through all seven Harry Potter books, the His Dark Materials trilogy, Stephen King’s Dark Tower books, and I’m currently in the middle of re-reading one of my all-time favourite series, Douglas Adams’s Hitchhiker’s Guide to the Galaxy (a trilogy in five parts)(snicker). But this isn’t about those books. The book I’m reading right now is Michael Pollan’s In Defense of Food: An Eater’s Manifesto. I’d seen it mentioned here and there, and it was on the library’s express read shelf. In a fit of optimism (I read quickly, but never seem to have the time to get around to reading lately, and the books are due in seven days) I picked it up. I am so glad I did. I don’t know if this book would have resonated so deeply with me if I weren’t already in the midst of my own dietary recalibration exercise, but the timing couldn’t have been better. Pollan’s book is an examination of how we in Western society have reduced food to nothing more than nutrients, and asks why in a society completely obsessed with ‘healthy’ eating we are more overweight and more sick than ever before. It’s fascinating reading: part history lesson, part self-help, part diatribe. Even with the library-imposed deadline, I couldn’t put it down. Why does Pollan think food needs to be defended? He observes that over the last generation or so, we have slowly replaced our intake of actual food with highly processed foodlike substances. He says that in reducing food to its nutritional components (not only macronutrients like proteins, carbohydrates and fats, but micronutrients like omega-3 and vitamins) and reducing the purpose of eating to bodily health, we actually do ourselves considerable harm. In Defense of Food is broken into three parts. The first is a historical examination of how we came to be in this “age of nutritionism”, as Pollan calls it, and how “fake foods” became so ubiquitous. We in Western culture are so obsessed with the nutritional value of food that we have elevated it to an ideology requiring an “-ism”. Pollan blames the unholy trinity of the food industry, nutrition science and journalism our current mentality, and for propagating misleading and even dangerous dietary recommendations: “[M]ost of the nutritional advice we’ve received over the last half-century … has actually made us less healthy and considerably fatter.” Not to mention, he observes, ruining countless numbers of meals. [M]anufacturers quickly figured out that their product, with some tinkering, could be marketed as better – smarter! – than butter: butter with the bad nutrients removed (cholesterol and saturated fats) and replaced with good nutrients (polyunsaturated fats and then vitamins.) Every time margarine was found wanting, the wanted nutrient could simply be added (Vitamin D? Got it now. Vitamin A? Sure, no problem.) But of course margarine, being the product not of nature but of human ingenuity, could never be any smarter than the nutritionists dictating its recipe, and the nutritionists turned out to be not nearly as smart as they thought. The food scientists’ ingenious method for making healthy vegetable oil solid at room temperature – by blasting it with hydrogen – turned out to produce unhealthy trans fats, fats that we now know are more dangerous than the saturated fats they were designed to replace. Yet the beauty of a processed food like margarine is that it can be endlessly reengineered to overcome even the most embarrassing about-face in nutritional thinking — including the real wincer that its main ingredient might cause heart attacks and cancer. So now the trans fats are gone, and margarine marches on, unfazed and apparently unkillable. Too bad the same cannot be said of an unknown number of margarine eaters. Fake foods and nutritionism aren’t Pollan’s only targets. He notes that the problem starts in the industrialization of food production. Pollan notes that two-thirds of our daily caloric intake comes from four crops: corn, soy, wheat and rice. Think about that. TWO-THIRDS! Humans are designed to be omnivores, so this kind of restriction — not to mention the lengths to which those four crops are processed — is a completely unnatural diet. He also talks about how the way in which we produce food has slowly eroded the quality of the food in order to improve yields, pointing out that it would take three apples from today to equal the iron content in one apple from the 1940s. He goes so far as to suggest that maybe this “nutritional inflation” is an underlying cause of the obesity epidemic: we are the first generation that is overfed AND undernourished at the same time. It’s an engaging, easy-to-follow and eye-opening account, and I can’t recommend it highly enough. And, as an aside, I think Pollan is the first published writer I’ve ever seen even more in love with the parenthetical interruption of his own stream of thought than I am. Read this book, because it will totally change how you think about food. Coming up next: integrating these ideas into the Plan B diet. Once upon a time, I used to write 10-pages-in book reviews. I haven’t written one in a very long time, and a large part of the reason for that is that I’ve spent the last six months immersed in the seven books that comprise Stephen King’s epic Dark Tower series. I got the first four books for Christmas, and settled in to read them just after I finished the Phillip Pullman His Dark Materials trilogy. (It was, in retrospect, apparently a dark Christmas.) It was prolly mid-January when I turned the first page of The Gunslinger, and I was reading book three, The Waste Lands, while waiting for the pitocin to ramp up my contractions in the delivery room when Lucas was born. 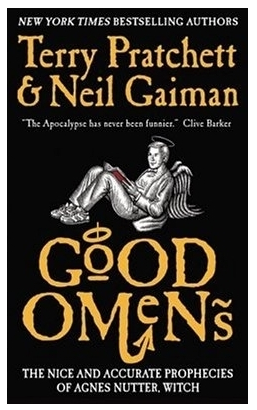 I took a bit of a breather from reading for those first blurry six weeks or so of his life, and have been charging headlong through to the end of the series since then. To steal a phrase: what a long, strange trip it’s been. I loved these books. They moved me, they inspired me, and they gave me the creeping willies more than once. Hell, more than a dozen times. They also deeply annoyed me at times, and I rolled my eyes in exasperation in a few places. I don’t think anyone can maintain perfection through a full novel, let alone seven of them, but much like JK Rowling’s Harry Potter books, this series was on whole much more good than bad, and the characters and the stories both got deep under my skin and into my head. Especially as I rolled through the last couple of books, I frequently found myself wanting to reach out to Stephen King somehow — to e-mail him, to give him a call, to pace back and forth in front of his fence for a while until he came out for a bit of a palaver*. I wanted to know more, to chew the fat about these characters and this world, to have the chance to savour them just a little bit more. So what are the books about? This dude named Roland, who lives in a world like ours but not quite ours, is on a quest to the Dark Tower. That’s it in less than 25 words, but it takes about 5,000 pages to get there. It’s about an obsessed man’s single-minded quest, but also about love and friendship and fear and some nasty things that make squelchy noises in the dark — this is, after all, a work by Stephen King. If you’ve read a lot of King’s books, you’ll recognize visiting characters from Hearts in Atlantis, ‘Salem’s Lot, The Stand and a whole whack of others. Towards the end, there’s a surprising homage to the Harry Potter books, and even King himself makes an appearance as a character. As I’ve written before, I avoided these books for many years. I’d see a new Stephen King book on the bookstore shelves, and then sigh in dismay. “Ugh, another stupid ‘Gunslinger’ book. Bah!” and I’d turn away. In a way, I’m glad I was late to these books, as I truly loved being immersed in the world of the Dark Tower so completely, and for such a long time. The books are set, as I said, in a world like ours but not quite like ours. Eventually, we find out that this world intersects ours, and that there are innumerable parallel worlds (another neat crossover with the central idea of Pullman’s trilogy.) The story weaves back and forth through wheres and whens in this world and others. King has not only sketched a set of alternate universes, but has coloured and contrasted them with their own histories, customs and linguistic quirks. I think this was my favourite part of these books, how rich and textured the worlds are, and after a while it felt less like reading the books and more like inhabiting the worlds. You know how sometimes when you’re reading a fantasy book, it’s like there is a little bit of scenery sort of half-imagined directly around the characters like the shadow of a spotlight, but everything else is kind of hazy? I felt like I could crawl right into these books and the scope of the world(s) around me would just go on forever. I was fascinated by the fact that this series took Stephen King the best part of his life to write. He started it in 1970, before Carrie was written or published, and finished it a quarter of a century later in 2003. I think that fact contributes to the sprawling, epic feel to the books. In a way, Roland the Gunslinger ages and matures in Stephen King’s real time. Time is major theme in the books, almost a character in its own right. Stephen King says in the forward to the books that what he wanted to do as a young writer was get inside peoples’ heads. He’s always been able to do that to me, always been able to crawl deep into the tiniest hidey-holes of my soul and shine a light on the bits that I try hard not to think about. In the Dark Tower series, he’s done it again. It’s been called his magnum opus, and I can see why. As I paged relentlessly through the last book of the series, I watched the dwindling amount unread pages with dismay. Now that it’s done, I think I’ll head out into the interwebs to see if I can find a discussion group or fan site somewhere. I’m deeply hooked on Roland and his ka-tet and his quest, and not quite ready to give them up just yet. *Actual goosebumps raised on my arms when I was reading the afterward to the very final book, and King spoke about how much he values his privacy and how he intentionally obscured details of his location even as he incorporated himself into the stories so as to protect his ever-eroding privacy. To me, it was almost like a personal “thank you” for not disturbing his privacy when I was stalking him that sunny Saturday morning last year. Chills. I don’t usually do sponsored book reviews as 10-pages-in reviews. I try to keep them distinct, partly so you’ll know books I’ve stumbled upon serendipitously versus books I’ve been offered to review, and partly because if someone is going to the trouble of sponsoring a review (in this case, MotherTalk provides a copy of the book and a $20 Amazon gift certificate) the least I can do is read the whole book before reviewing it! In this case, I’m going to make an exception. I would have likely been curious enough about this book to pick it up on my own anyway. Plus, I didn’t receive it until a week or so ago, and quite frankly – I just haven’t had time to finish it yet! Right now, I’m about two-thirds of the way through. After all that, on with the review. Today we’re talking about MJ Rose’s The Reincarnationist, a suspense thriller with a historical twist, akin to Dan Brown’s The DaVinci Code meets Elizabeth Kostova’s The Historian. Photojournalist Josh Ryder witnesses a terrorist attack in Rome, one that kills a nearby security guard and nearly kills him as well. From that moment onward, he finds himself haunted by waking nightmares, visions and hallucinations he can’t explain. They are flashbacks to Josh’s prior life as Julian, a fourth-century Roman having an illicit affair with the last of the Vestal Virgins. The narrative swings from Josh’s story to Julian’s and back again. As the narrative leaps from modernity to ancient Rome with stops in between, the reader is drawn deeper into a complex web of interlocking mysteries that include a modern-day murder and the theft of a set of mystical objects called Memory Stones, rumoured to have the power to help the holder know all of his or her past lives. 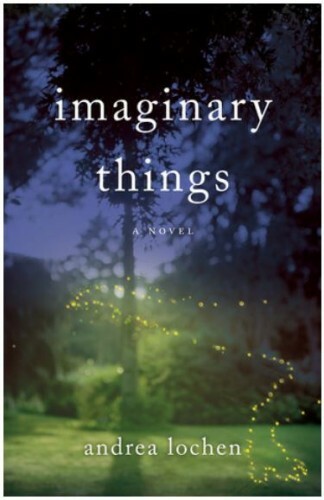 It’s an intriguing novel and I find myself becoming more drawn into it as the story progresses. I compared it earlier to The Da Vinci Code and The Historian, and I don’t think it’s quite as compelling or well executed as those two novels – although I can’t quite put my finger on the reason why. I wish I had a better feel for Josh – and for Julian, for that matter. I have neither a clear picture in my mind of the character, nor do I quite buy into his behaviour. Regardless, it’s one of the better books I’ve read this year, an exciting story full of page-turning suspense. There are sinister forces at play, a likeable hero, more than a hint of romance, and a handful of mysteries to be solved. What more could you ask of a book? What I am particularly enjoying, and frankly wish there was more of, is the philosophical examination of reincarnation. I’m ambivalent about the topic myself – I tend to agree with Hamlet, who said, “There are more things in heaven and earth, Horatio, than are dreamt of in your philosophy.” So while I won’t discount reincarnation outright, I also can’t say I’ve ever been compellingly convinced of its existence. I had never really thought before reading this book about why the Catholic Church has such a problem with the idea of reincarnation (I’ll paraphrase it to “we can’t leave the eternal redemption of the unwashed masses in their own hands; whatever will our priests do?”) and found the historical description of the evolution of religion in the early years of the Church quite intriguing. I wish I knew / remembered enough about history to know whether it’s an accurate portrayal. With a full third of this book left to read, it’s just getting really good now, and I’m quite hooked. Divergent story lines are just starting to come together, and I’m curious to see how it all comes out. If you’re curious, you can read more about The Reincarnationist on author MJ Rose’s website. So, what do you think about the whole reincarnation thing? Were you a peasant farmer or wealthy noblesse in a past life? Or is this your one and only kick at the can?